It was great to be with you again for the VPMA at Virginia Beach. 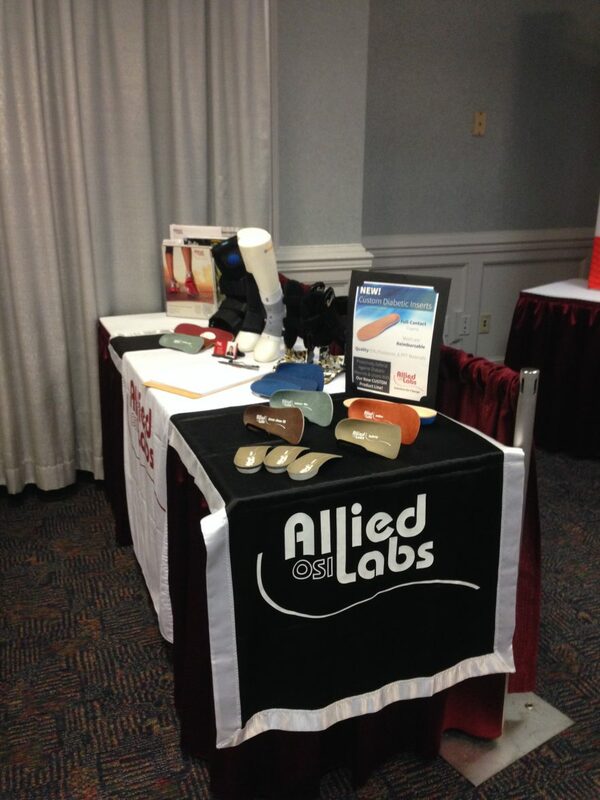 Along with our tried and true custom orthotics, the Richie Brace and our OTC/DME line we showcased our new Medicare compliant A5517 Diabetic Insole. They are sold 3 pair for $96. We also displayed our new OS1st plantarfascia sleeve, Foot Gym and AF7 ankle bracing sleeve.